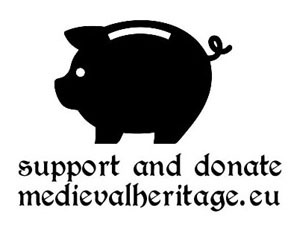 The medieval castle was built on the relics of a hillfort, built probably in the 11th century on an island called Ostróg, surrounded by the arms of the Odra river. 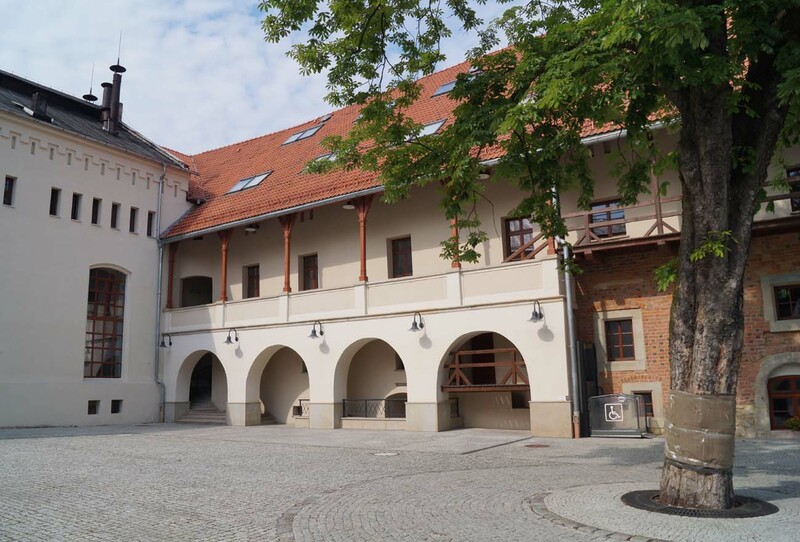 In the eleventh century, this important border center belonged temporarily to the Czech and only Bolesław Krzywousty joined it to Poland. 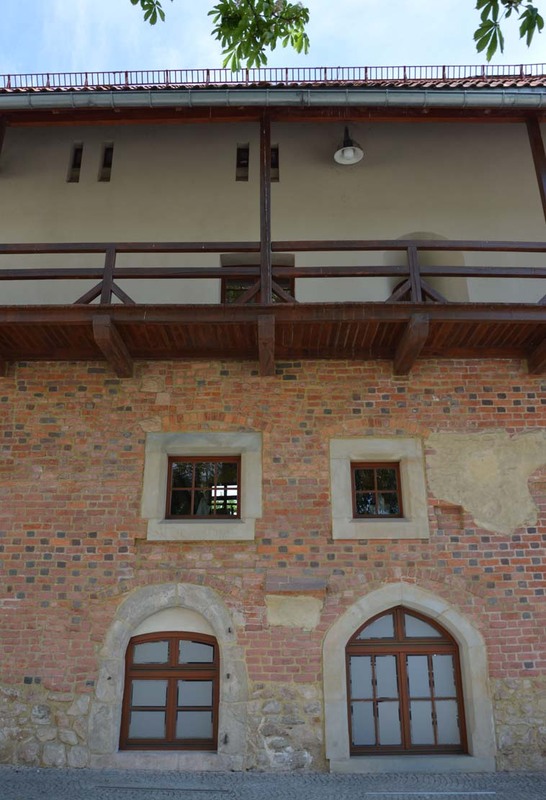 As a result of the Silesia partitions, became the main castle of Mieszko Plątonogi. The first castellan of Racibórz is in the document of 1222. In the third quarter of the 13th century the fortress was rebuilt into a brick castle. 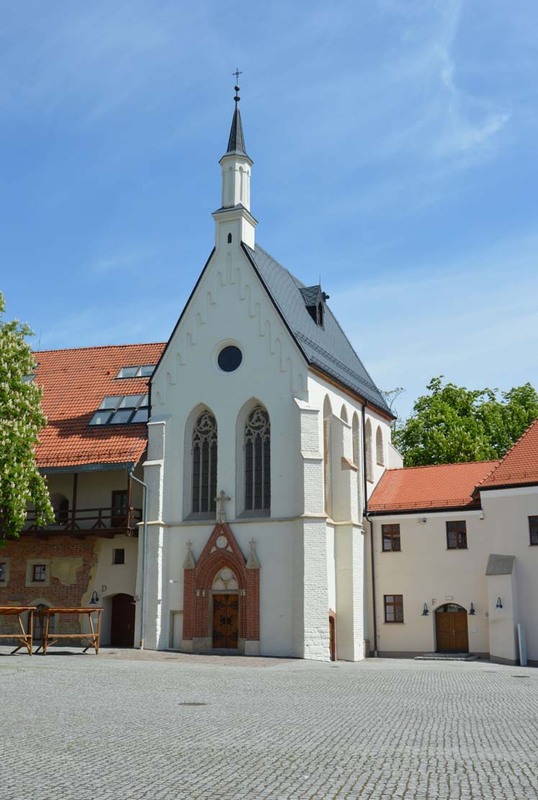 Around 1290, in memory of the reconciliation of the bishop of Wrocław, Thomas II and prince Henry IV Probus, a St. Thomas of Canterbury chapel was built. 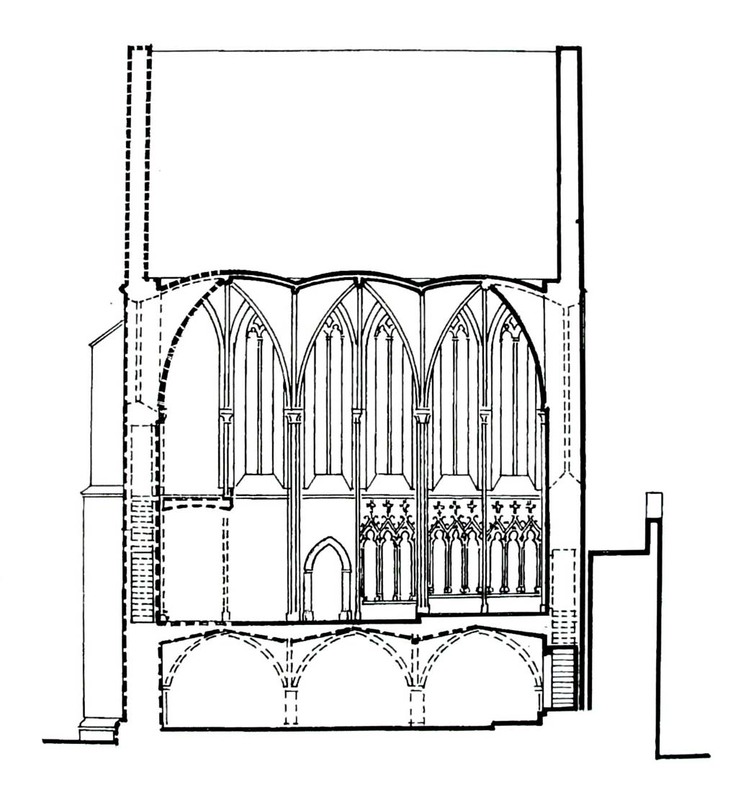 In 1519, during the reign of prince Valentine, a fire started and the southern wall and vault of chapel collapsed. 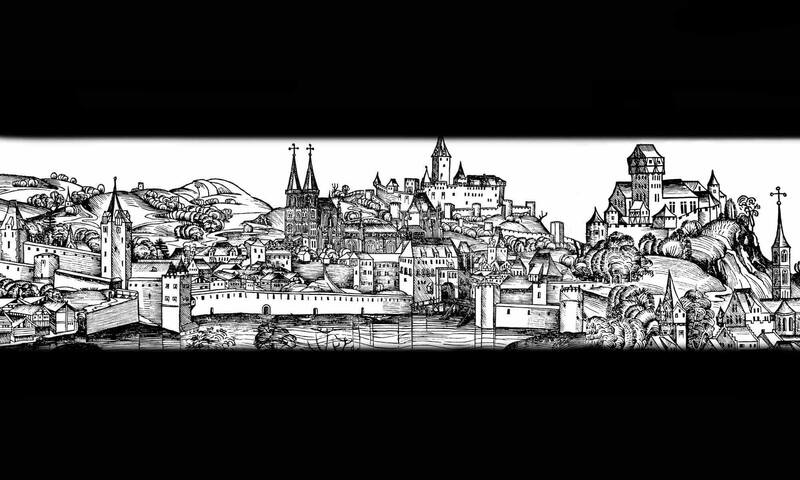 The princes of the Piast dynasty controlled the castle until 1336, and later it became the princes of the Opava line. After the death of prince John II Good in 1532, the duchy and castle became a pledge under the reign of George Hohenzollern, who founded a brewery in the castle. In the years 1603-1636 domain manager George Opersdorff commissioned the renovation and expansion of the already weakened fortress. 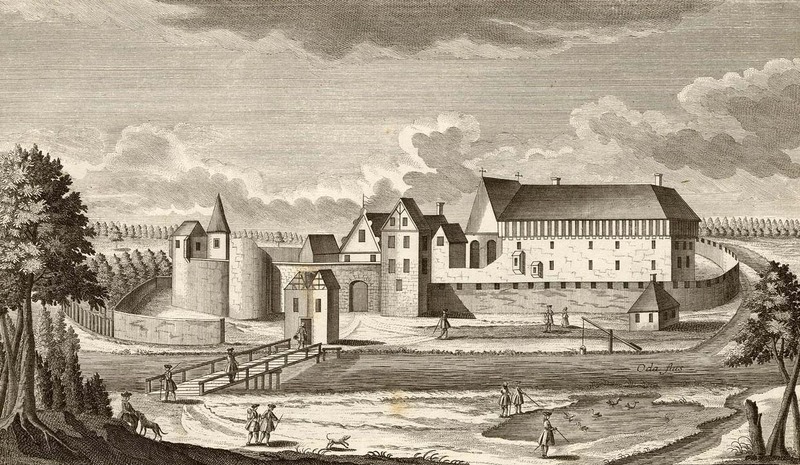 Unfortunately, in 1637, just after the renovation, the castle burned down. A few years later the ruined building was bought by the Opersdorff family, whose in hands remained until 1712. In the 19th century, the malting and brewery was expanded, which significantly distorted castle’s original appearance. In 1945, during the war, the building was burned down. The shape of the brick walls of the castle was presumably the circumference of the earlier wooden-earthed ramparts of the hillfort. In south-east corner was a cylindrical tower, slightly protruding from the line of walls. It was erected from bricks in the monk bond and its diameter at the base was 16 meters. The main castle buildings rose to the north of the chapel and were added to the wall. In the 16th century a second, outer line of brick walls was built. The gatehouse was initially half the size of the present and was in the first part of the walls. The castle was originally surrounded by a moat. 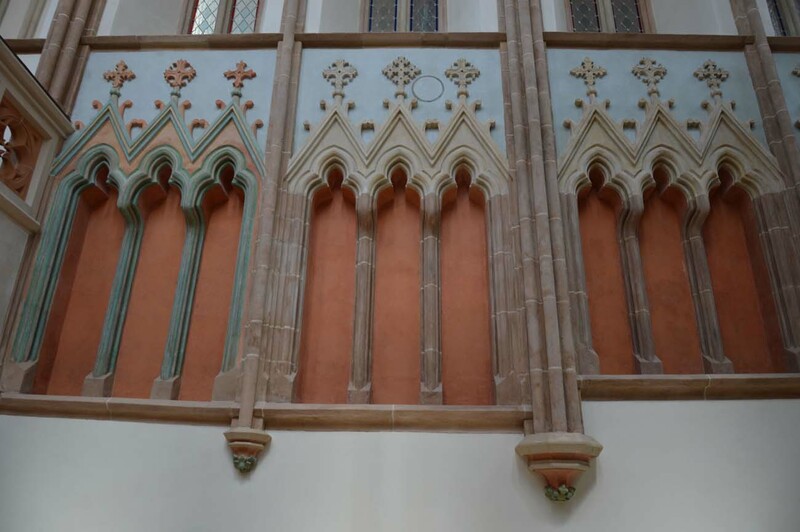 St. Thomas of Canterbury chapel was placed at the peripheral wall. Its original layout was two-tiered and half a span longer than the current one. 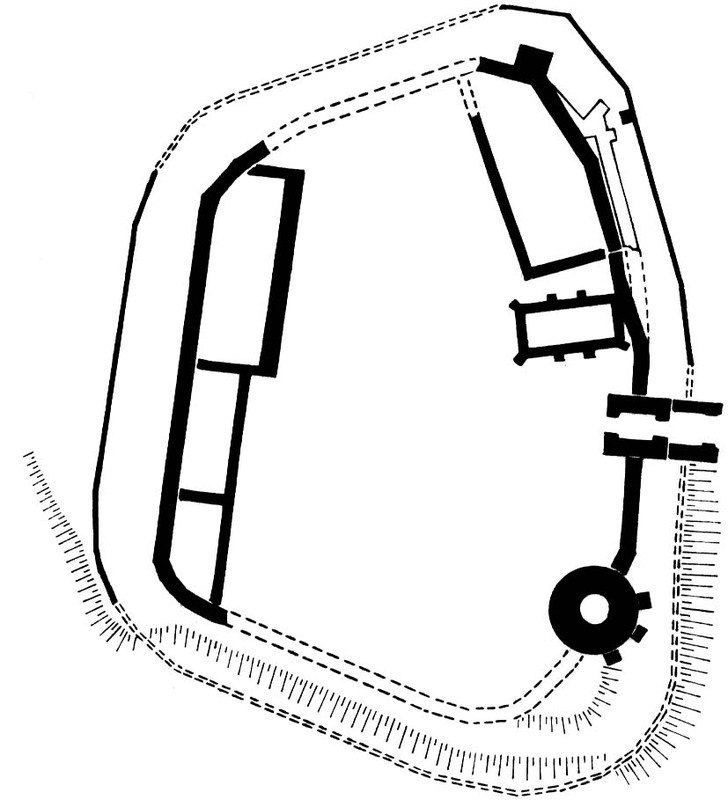 The lower floor had a height of 3,5 meters and a three-span vault. The matroneum was built into the western span, but the one visible today is a 19th-century reconstruction. 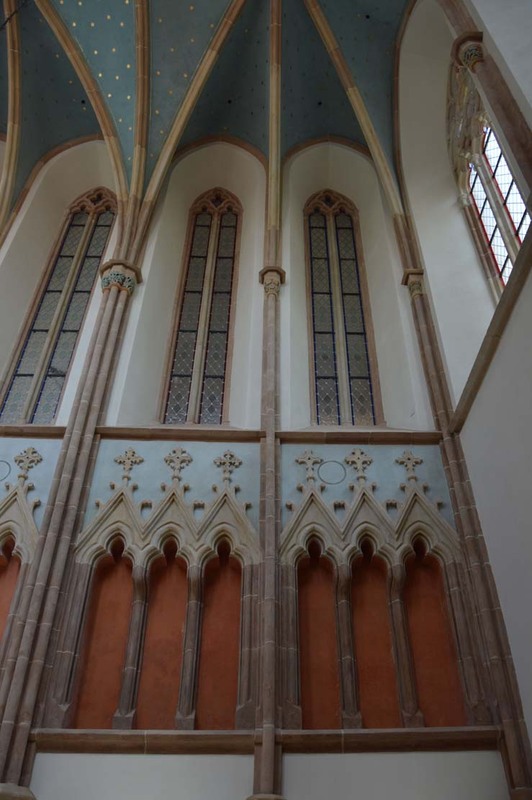 The upper storey internal elevations were very rich and sophisticated. 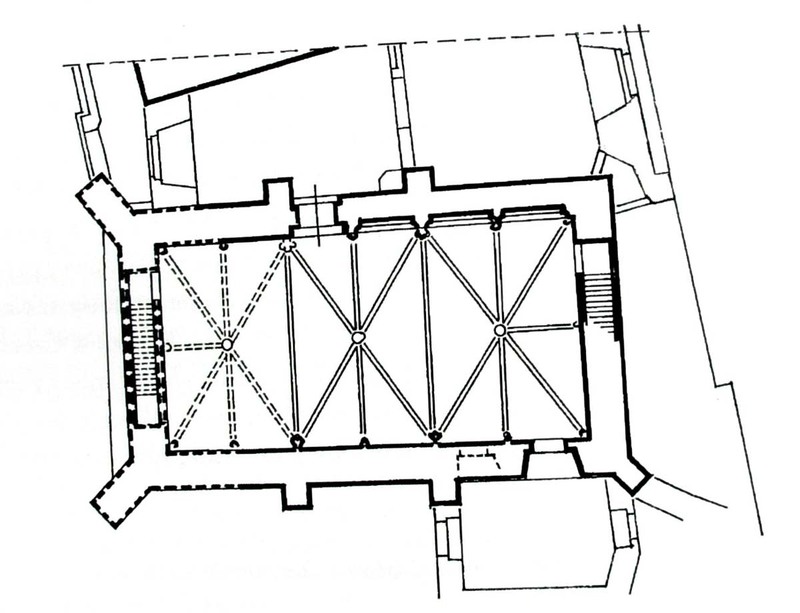 The network of divisions marked the skeleton – canopy system of vaults supported on the ancillary columns, flowing down to the very floor, following the classic French cathedrals. The stone ca[itals are decorated with leaves of many plants, one can recognize the leaves of oak, maple, ivy and grapevine, and even marguerites. 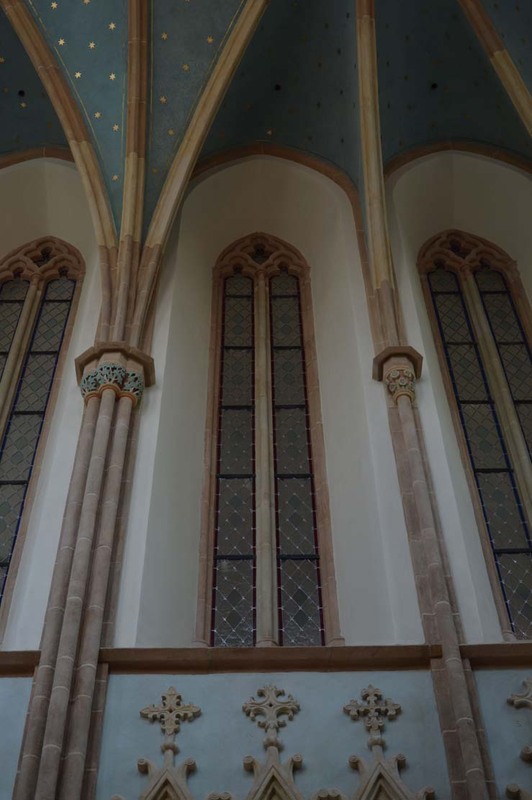 Type of cornice ran around the walls in the middle of the walls heights, made of connecting window sills, which filled the entire second storey of the upper part of the chapel with the exception of the matroneum. Under the cornice ran a series of arcaded niches, performing the function of sedilies, divided into segments of three. In the thickness of each of the shorter walls, there were staircases, from which the eastern one provided a connection between the floors, and the western one led to the matroneum. 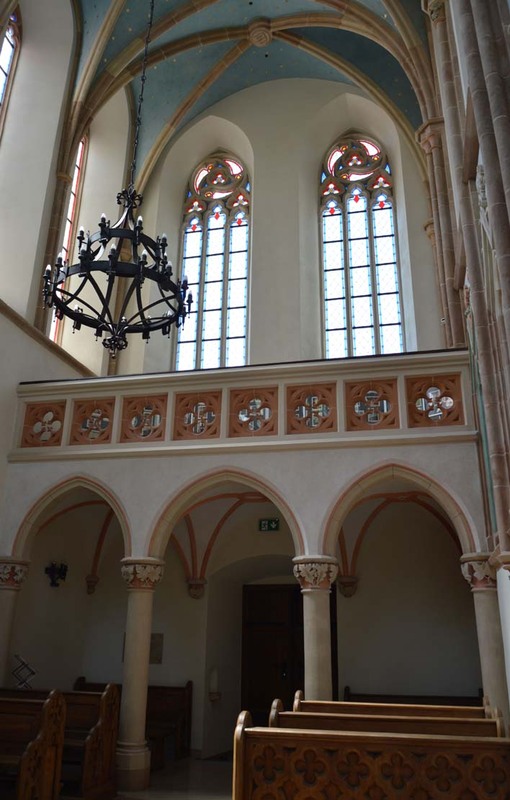 The only, atypically placed entrance to the chapel, led from the second floor to the porch on the defensive walls. The chapel had certainly a courtly character, as evidenced by its availability only from the castle’s floor. 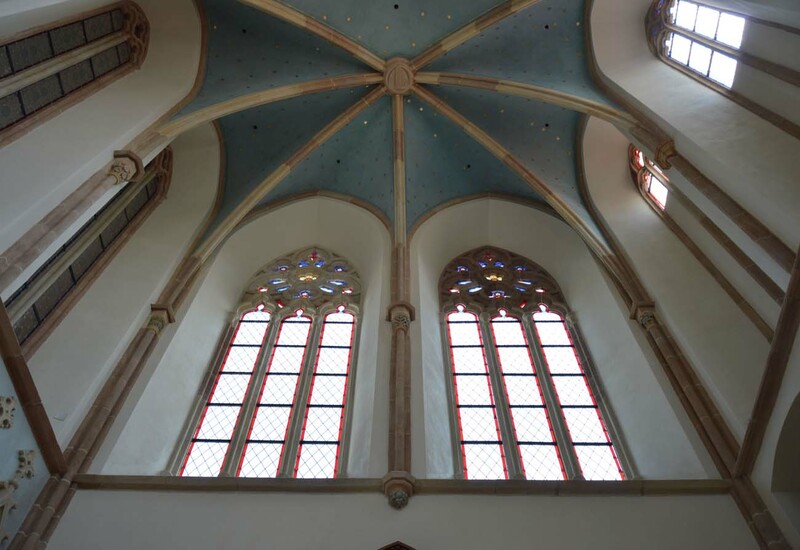 Most probably, the upper part was intended for the prince and his court, while the lower part was for the canons. 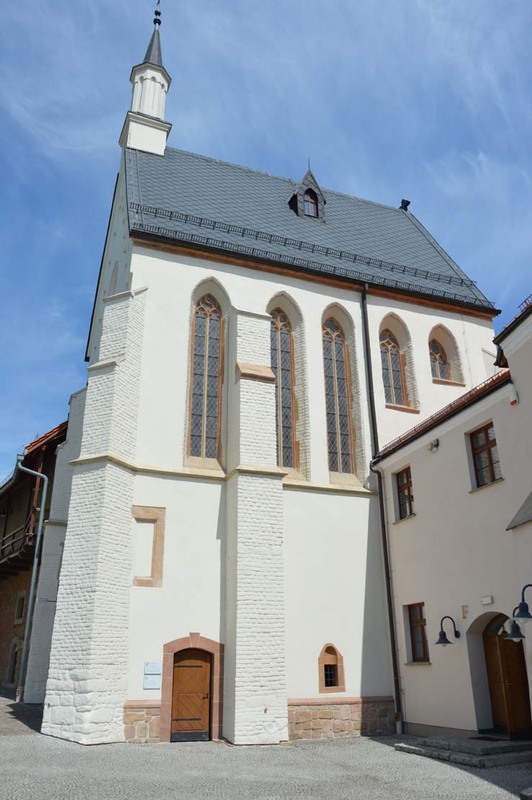 The prototypes for buildings of this kind should be sought in France in the Sainte Chapelle in Paris, and closer in the chapel of Saint Hedwig in Trzebnica, which was twenty years earlier or the Czech chapels at the castles in Zvikov or Bezděz. The gothic and renaissance style of the castle has been largely obliterated. 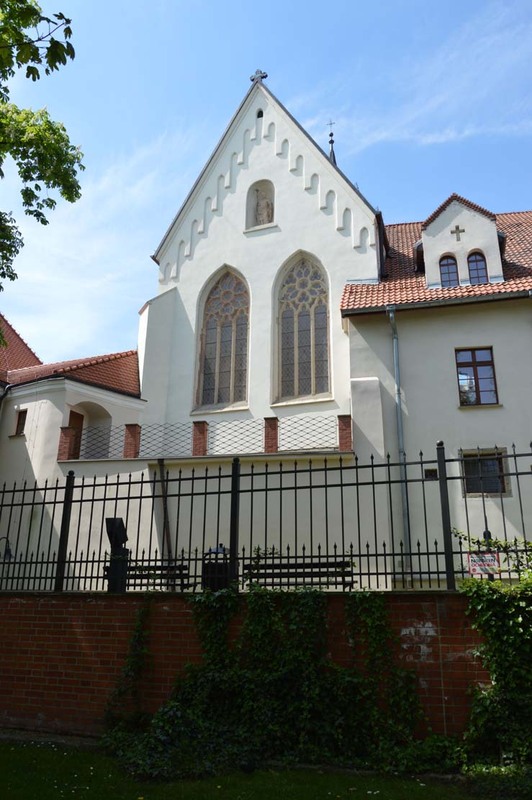 At present, its most valuable element is the castle chapel, due to its high artistic level called the pearl of Silesian gothic. 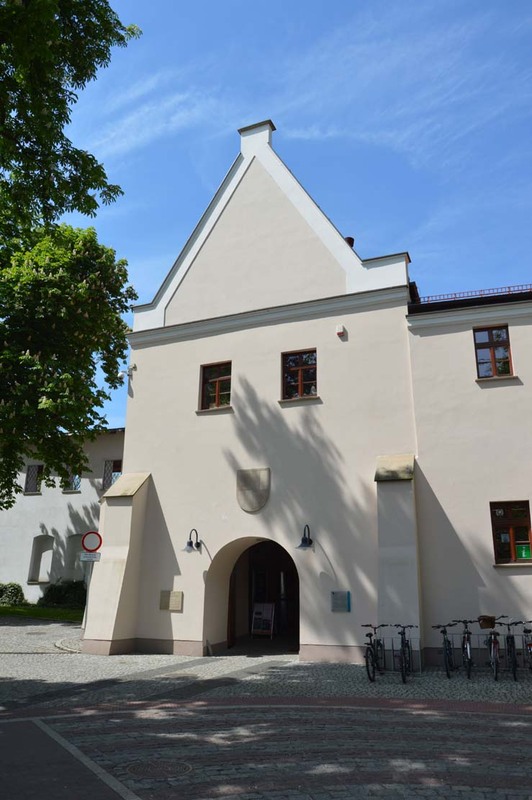 The recently renovated castle is a place of cultural and entertainment events and a small museum. Prices and opening hours are on the official website here.